A witty treat that’ll make you hoot with laughter. Just don’t make too much noise! Have you ever laid awake in bed wishing everybody would HUSH? Then you’ll know how Mopoke feels. This poor owl loves peace and quiet. But the jungle is very LOUD! Every time one noise stops, another starts. Will Mopoke ever get the sweet silence he yearns for? 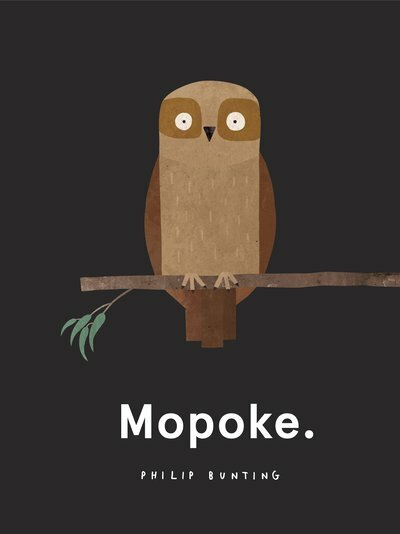 We need more mopoke, mo-pokes! This is a funny book. A real picture book, where the images are tied with the words and the jokes. ‘Cause this is really a funny book. The Mopoke loves peace and quiet, but you can’t always get what you want – and that’s life, my child. Reading this book out loud, turning the pages, discovering the new puns is so satisfying. As an adult a glimpse of the page and I read&watch the image, but the child… she watch the image and try to come out with a joke. And you laugh with your toddler. A lot. There isn’t much of a story in this book, but the interaction with my child while reading it it’s the Story itself. We read it at nigh, so after the final No-poke, we add a “Nighty Nite-poke” and – finger crossed – we sleep. The design and the development of the book reminded me of Jon Klassen’s Hat trilogy, but still has a strong personality of its own.